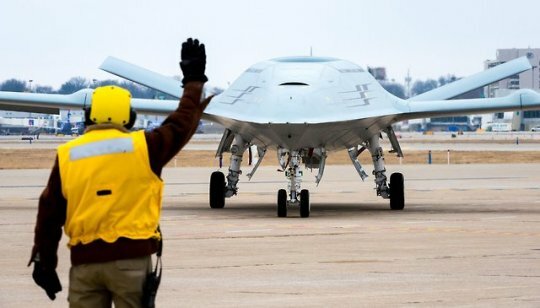 So this is what Boeing's mystery UAV looks like from the front. I'll have to let the aviation bubbas have at this one cause I just don't know but it looks like it covers most bases when it comes to being stealthy. The corporations participating in this thing are acting like this is a winner take all. By that I mean it seems as if this tanking project is just an entry point for them, and someone behind the scenes is stating that this will be the deep strike/ISR bird too. I think we're seeing the UAV version of the Hornet to Super Hornet saga playing out. Yeah. The Navy gave those in the competition the old wink and a nod and told them to put something together that could fill both roles. Oh and like many on this blog have stated, Northrop backed out because they already have their hands full and the DoD has stated that it would spread out programs to maintain what's left of the defense base.